Eng. Tarek Aboualam and Dr. Samy Saad Zaghloul have been proposed for appointment to the Board of Directors with immediate effect. 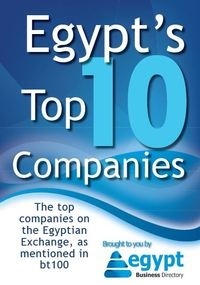 Telecom Egypt (TE) (Ticker: ETEL.CA; TEEG.LN), today announced that Eng. Tarek Aboualam and Dr. Samy Saad Zaghloul have been proposed for appointment to the Board of Directors with immediate effect. The appointment will be ratified by the Board of Directors when it convenes by the end of this week. Eng. Tarek Aboualam joined TE in 2009 as Vice President, International & Wholesale and was subsequently promoted to Senior Vice President in June 2011. Tarek has more than 16 years' experience in the telecommunications industry, including a significant track record of accomplishments in the Middle Eastern and European markets. Eng. Tarek Aboualam will take up the Board seat previously held by former TE CEO, Eng. Tarek Tantawy, who vacated his position in May 2011. Dr. Samy Saad Zaghloul is the Secretary General of the Cabinet of Ministers. He holds a PhD in Urban Planning from Harvard University, a Masters degree in Public Administration from the John F. Kennedy School of Government; a Masters degree in Computer Science from Harvard; and a Masters degree from Cairo University in Computer Science. Dr. Zaghloul will represent the interests of the Egyptian Government on TE's Board of Directors, replacing Dr. Mokhtar Abdel Moneim Khattab who has resigned from his position. "I would like to take this opportunity to welcome Eng. Tarek and Dr. Samy to the Board of Directors. We look forward to their contributions as we continue to progress our strategic objectives. "At the same time, I would like to extend our gratitude to Dr. Khattab, who was appointed to the Board of Directors in 2004 and has served Telecom Egypt tirelessly since then. The Board wishes him every success in his future endeavours."